Death is a natural part of life that an individual must go through. Medical professionals, including nurses, must provide care for people as they transition into this part of their life. For some patients, it may be a tremendously sad and difficult part of their life. Others may be ready to pass because they are at peace with this transition. This time can be stressful for patients and for the individuals working with them. Some nurses will encounter more patient deaths than others, depending on their area of specialization. It is much more common for an emergency room nurse or hospice nurse to see a patient pass away. There are many things a nurse or any medical professional can do to cope with the loss of a patient. It’s natural to feel grief. Do not keep emotions bottled up inside you. It is better to let them out and cry if need be. Coping with death is a process. A medical professional should be open about their feelings. It is very natural to grieve, and everyone experiences it at one time or another in their life. Speak to colleagues and friends. Much can be learned from colleagues and friends. They may have been in a similar state of mind or had an experience like yours during one point in time. From those experiences, they can give you advice on how they were able to cope with the loss of a patient. It may make you feel better to speak to someone who has gone through a similar experience as you. If you feel that you need more help, a psychologist may be able to help you through the grieving process. Practice meditation and yoga. Meditation is used all across the world to bring about emotional clarity and a calm state of mind. Both meditation and yoga have been found to reduce stress, pain, and depression. They also increase an individuals well being and consciousness. Get exercise and be outdoors. Exercise reduces emotional and mental stress. It releases tensions that have built up over time. Being outdoors is very refreshing to the mind and body. Sunlight is also known to improve an individual’s mood. Take a break or go on vacation. A break is necessary at times if you feel like you can not give your full potential to your work after the loss of a patient. Try not to work overtime or accept extra shifts, and take some time off. Speak to your nurse manager to see if setting up a schedule with fewer patients is possible. 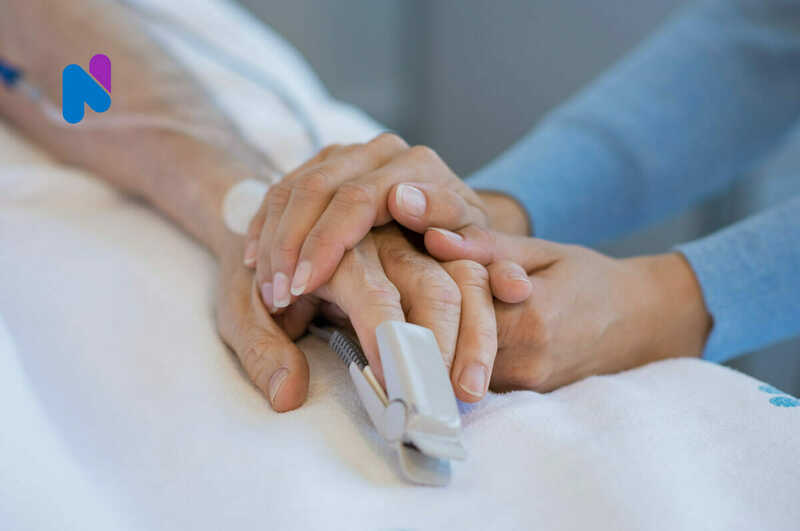 Speak to the patient’s family members (but only if they are comfortable with it).If you and the family are comfortable with each other, it may be a good idea to express your compassion for the loss of the patient. This will help you remember the hard work you put into caring for the patient and may also give you some closure. Don’t search for reasons. People get sick and pass away at different ages. Do not try and reason with yourself as to why it happened. This could lead to you blaming yourself for the loss of a patient. Do not let the death of a patient make you question your character and skills. It is important that you keep a good attitude so that you can help the next patient to the fullest potential. Medical professionals make their living caring for others. Patients range in all ages and backgrounds. Nurses must understand that a person will pass away at some point. Although difficult, it is especially important to keep your work attitude separate from personal feelings. If you are a medical professional, take the time to consider whether or not you are easily affected by death. You may want to consider choosing a specialty around this, as some fields will experience death more than others. If you are an RN or LVN interested in job opportunities, visit NurseRegistry’s job board.